Once a mere cultural resource (2000-2004), this site was, little by little, led to offer a tribune to those brave scientists who dare expose the growing pseudo-science (“1 hookah=200 cigarettes” “sweep-it-under-the-carpet” so-called ““waterpipe””™ “science”) and whose now open objective is PROHIBITION. We consider prohibition of smoking as antithetic to the spirit of world major religions (Taoism, Islam, Buddhism, Hinduism, Communism, Judaism, Christianity, etc. ), particularly the 2nd and 5th ones. Against this new pseudo-scientific obscurantism, we invite you to RESIST in the field: on campuses, hookah lounges, etc. WE HAVE WON THE BATTLE in France where hookah lounges have stayed open thanks to our friend’s debunking of the great fraud about hookah “passive smoking” [2009 STUDY](which was already a fraud in relation with cigarette smoking...). We are also firmly committed to fight those who shamelessly promote, in the absence of any evidence and sound study, the pharmacological treatment of supposedly “hookah addicts” (read here). 2014: Happy New Year to Asleep Lovers of the Mideast Peace Pipe - The War is Officially On! Edward Snowden Exposes Greatest Form of TOTALITARIANISM: “I do not want to live in a world where everything I do and say is recorded"
”Nothing to Hide, Nothing to Fear” (Really? 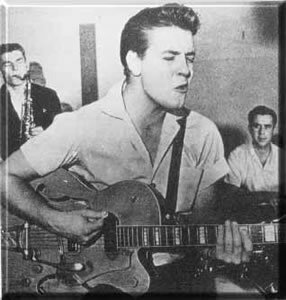 James Corbett). "No one shall be subjected to arbitrary interference with his privacy, family, home or correspondence, nor to attacks upon his honour and reputation. Everyone has the right to the protection of the law against such interference or attacks." (Universal Declaration of Human Rights – UN, 1948). US ««Waterpipe»»™ Millionaire Wasim Maziak (also US-Man in Aleppo (Syria) ; NATO Bloody ««Arab Spring»» Hagiographer ; & author of WHO Junk Report on ««Waterpipe»»™) warns (with Thomas Eissenberg, his associate of the WHO junk report) mankind against upcoming great catastrophe in Palestine & other parts of the Arab World : TOBACCO USE (and, of course, the Syrian Chemical Weapons, true Weapons of Mass Distraction: Shisha (Hookah, Narghile)! 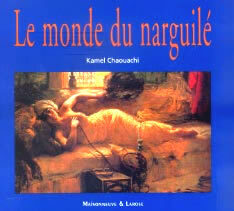 New Release of "Tout savoir sur le narguilé. Société, culture, histoire et santé" [Eng. : Everything about Hookahs. Society, Culture, Origins and Health Aspects]. Paris, L’Harmattan, mai 2012, 256 pages, colour. ISBN : 978-2-296-96620-8. 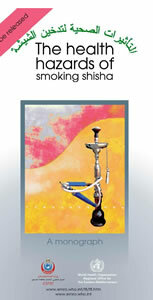 New edition; includes full critique of WHO flawed report on hookah (shisha, narghile) smoking. BROCHURE in English availaible HERE. Now, in a Tunisian medical journal, this individual (together with Imed HARRABI and other local naive groupies), WARN YOU (in a response to an embarassing debunking critique published by two independent Tunisian researchers) against the ““promotional content”” of this site. The core of their article is based on defamation and a renewed ad hominem attack (a classic among war advocates) against Kamal. They defend the idea of using human guinea pigs in highly hazardous hookah experiments: 4 successive hookah sessions in an unventilated room (plus water not changed and other picturesque details), which actually represents a blatant violation of the Declaration of Helsinki for the protection of human subjects in medical research. Imed HARRABI and Wasim MAZIAK even cite the Editor in chief of the Food & Chemical Toxicology journal who actually tried to “sweep the scandal under the rug” by defending “his” authors, as he did with another quadruple one. The latter was dealt with the funding of anti-““waterpipe”” research at the US-American University of Beirut by the Tobacco Industry! Read Kamal’s Revelations HERE and confirmation by Dr SIEGEL, professor of public health at Boston University THERE). What is apparently targeted is the unbearable presence of the Hookahculture site in our Links section.... Looks like Maziak immediately draws his gun when he hears the word “culture” in relation to hookah smoking, apparently like German totalitarians of World War II (Goebbels)... The Sacred Narghile’s response to this diktat is: “If you’re looking for trouble, you came to the right place!” Come here if you have the guts you ugly ““waterpipe””imitator of health fascists ! Amazingly, we have noticed that the Hookahculture (totally available for numerous years) can’t be accessed anymore... Of course we assume that health fascists have threatened or blackmailed his owner. We’ll leave readers and managers of other similar sites investigate this matter by themselves for we don’t have time for this. NOTE 2009: We apologize for the hectic update and the whole mess…humm… We have been fighting hard, you know, and alone against giants [WHO fake reports, National Bans, Neo-McCarthyst Witch-Hunts, Defamation Campaigns, Censorship, Millions of Dollars (1) for Pseudo-scientific and Media Violence, etc, etc... not to mention the Indifference and Unawareness of targeted populations]. 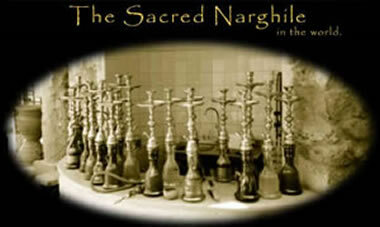 We sincerely hope that The Sacred Narghile will be restored soon to its original purpose. > 2. (Middle): Hookah Smoking (Shisha) and CANCER Markers: You’re Dead ! >> 1997 (LEFT) : "Le narguilé". An Anthropology of Narghile (Hookah, Shisha), 262 pages. Black and white. 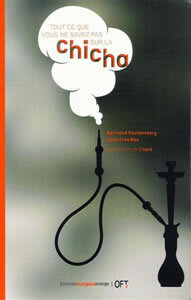 The book that shook the world 10 years ago, by letting hookah smoking go global and become a world epidemic ? Isn't anthropology a dangerous game ? 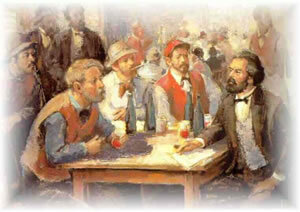 >> 2007 & 2012 (CENTRE): "Tout Savoir sur le narguilé. Société, Culture, Histoire et Santé". Everything You Always Wanted to Know about Hookahs. Society, Culture, Origins and Health Aspects. Note: includes the critical analysis (in English) of the WHO (World Health Organization) report on "waterpipe tobacco smoking", the first ever published by this United Nations agency. NOTE: The book was actually prepared by a crowd of experts. Just to mention a few of them, it is said that the OFT’s team members [free transl. ]: particularly Joseph OSMAN, Pascale SOMMERA, Maria OELCHANIDIS and Lalla TRAOREL , have been major actors in the «chicha» (shisha, narghile, hookah) project… (pages VII et VIII). Therefore, it is a COLLECTIVE OFT-led PIRACY. >FULL STORY HERE about this great scientific fraud where you will also learn how these "experts" take a Shish-Kebab for a Shisha (page 30-31)... and warn you that "The great risk is that shisha, progressively, take the place of cigarettes" (page 58 of their book. A sentence put in bold characters by the authors themselves)... A "great risk" for whom ? >> Related story (Oct. 2008): Plagiarism and Flavors. 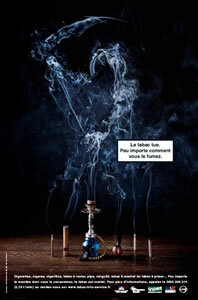 Bertrand DAUTZENBERG, President OFT, Comes Back with a New Definition for Shisha: a ““War to Tobacco” Tobacco Product" ! Although it is a familiar object for a billion people in the world, the four hundred year old hookah (narghile, shisha, "water pipe", "waterpipe"™, "hubble-bubble") seems struck by a strange silence [This article was written in 1997]. Most encyclopaedias overlook it completely, while the mass media seems to be more concerned with problems considered as "serious" and dynamic than by folkloric and inert objects. It is however undeniable that this tool is used daily, for hours on end, by over a hundred million men and women, in Asia, Europe and Africa, at the local coffee shop or at home. By opening its columns to a presentation of this object and this practice that lies at the very heart of Mediterranean conviviality, Rive magazine deserves our gratitude for going back to the true meaning of discovery. Individuals cited in these columns are generally authors of public documents or statements (e.g. : in scientific journals or national newspapers) for which they are fully ACCOUNTABLE. Some of them are even notorious defamers and plagiarists/counterfeiters. From the beginning, we have decided that we wanted visitors to know who are the actors involved in the “asymmetric war” ( Public Health David against Anti-Tobacco Goliath ; One against a Thousand) raging behind the open hookah scene. We gave the full names of people who participated, in one way or another, in a defamation campaign at the highest level; of plagiarists/counterfeiters of the scientific work actually defended on this site (because of the ugly censorship); but also of the authors of tremendously partisan and erroneous pseudo-scientific publications that have been fuelling a huge confusion over the past years with the now well known negative impact on Public Health. When an end is officially put to such a scorched earth policy (driven by censorship, killing equations like “1 Hookah = 200 cigarettes” and the like, etc. )(1), and collaboration, at last, put on the agenda, then names will be removed, not before. Even if the recent blitzkrieg of “new studies” bodes no good news, we remain open and optimistic. Peace on Earth would be possible again (Dec. 7, 2007). (1) “If they want a One Hundred Years’ War, I will be standing behind the scientific barricades and they may be assured that I will not know Jeanne d’Arc’s fate” (quoted from press release Dec 1, 2007). (*) and why not Eau-de-Cologne...alism to make it smarter ? PASSIVE SMOKING. Top Tobacco Authoritative Expert Debunks European Report (“Lifting the SmokeScreen"). Asks: “Epidemiological Study or Manipulation ?" For centuries now, dozerns of millions of people have been using the narghile (hookah, shisha, "water pipe", "waterpipe"™, "hubble-bubble") in a "recreational" way, that is once, twice or thrice a week, once a month or on occasions. However, it is thought that this method cannot be an alternative to cigarette smoking. If you are a dependent cigarette user thinking of quitting this way, you may be wrong in some cases and all you might succeed in is to become a hookah chain smoker. So, we invite you to take psycho-medical advice. For more information, please refer to the relevant section of this site or get in touch with us through the “Contact Us” page. After 2 erroneous reports released by WHO (World Health Organization) (1st erroneous report ; 2nd erroneous report], an erroneous and extremely bad report from the American Lung Association and now a French book representing a major scientific fraud in the history of tobacco research (apart from being an act of intellectual piracy), time is now for mass mobilisations against obscurantism, fundamentalism, fanaticism, violence, intolerance and censorship. Read Critiques of the 2 Erroneous World Health Organization Reports on "Waterpipe™ Tobacco Smoking"
>> (LEFT) A Critique of the  WHO's TobReg "Advisory Note" entitled: "waterpipe™ Tobacco Smoking: Health Effects, Research Needs and Recommended Actions by Regulators. Journal of Negative Results in Biomedicine 2006 (17 Nov); 5:17. Has WHO Falsified Translation into Arabic in order to Avoid Outrage over Statement on Hookah Use by Children and Parents in the Arab World ? WHO-EMRO (World Health Organisation - Eastern Mediterranean Regional Office) and ESPRI (Egyptian Smoking Prevention Research Institute). 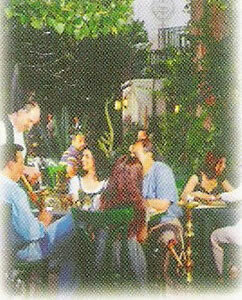 Shisha Hazards Profile “Tobacco Use in Shisha - Studies on Waterpipe Smoking in Egypt”. Cairo, 14 March 2007. 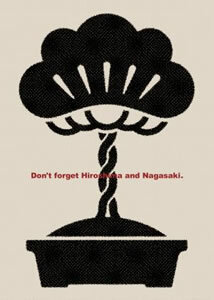 ISBN: 978-92-9021-569-1. 84 pages. >>(FAR RIGHT) Serious Errors in World Health Organization New Report on “Scientific Basis of Tobacco Product Regulation” (communiqué Dec. 24, 2007). Note: Full critique upcoming. and "If necessary -in view of the expected reluctance to commitment by influent involved parties-, the setting up of an International Tribunal (The Hague) to establish charges against those researchers and their affiliated organisations who have imposed, day after day over the past years, a mafia-like system". Follow "The Waterpipe™Gate Files" politico-scientific thriller: only on... The Sacred Narghile. Stay with Us ! Find what’s "wrong" with this picture ! 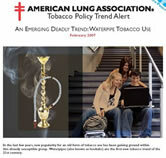 Official “Experts” who were appointed by WHO (the World Health Organization) to prepare reports on hookah (narghile, shisha, “waterpipe”™) smoking could not distinguish between a burning and a heating process (1st Erroneous Report), between smoking products (2nd Erroneous Report) and even between hookah and cigarette smoke (American Lung Association Erroneous Report)... And, recently in France, ""top" "experts"" take a Shish-Kebab for a Shisha ... What's next ? Japanese Sushis ? For Miguel, "we need an honest test with all variables explored"
COMMUNIQUE (Dec 15, 2007): Study on US “Waterpipe”™ Users by US-Syrian Center: from Serious Errors to ““Waterpipe”” Fixation, Fallacies, Fallacism and Religious Obsession, etc. From then, this site has become a free tribune for all censored materials in the field of hookah studies: not the least is the critique of the WHO (World Health Organization) report on "waterpipe™ tobacco smoking", the first ever published by this United Nations agency. It took its author a full year before finding a truly independent and truly peer-reviewed journal that would accept to publish it. We don’t receive MONEY neither from the Pharmaceutical Industry (wealthy dealers of nicotine in the form of patches and chewing gum) nor from the Tobacco Industry nor from the US and international funding agencies (NIH, RITC, etc.). We have been working with our brains only. So, time has come now for a severe overall evaluation of the quality of the numerous publications to be found in the market. We are happy to see now how a new generation of researchers can write studies without citing any of Thomas EISSENBERG, Alan SHIHADEH, Kenneth WARD, Wasim MAZIAK and their blind followers. Censorship is like a boomerang. These researchers deserve our greatest respect. Besides, all of his longstanding efforts have been oriented towards a sound objective scientific transdiciplinary approach of the hookah (narghile) issue, far from fear-arousing and ideology. We share this approach. From the outset (1995), he has always invited people to join him in this exciting research: for publishing joint papers for instance, setting up an international research centre, an international association, and so on. This invitation is still open to people who still know the meaning of the word “sharing” if they ever experienced it. Unfortunately, we have seen how some people have taken advantage of the stuff and clues offered for free on this site and even forayed it. Sadly enough, we have seen how, in recent papers, neither the name of our friend nor that of this site were quoted in these “original” articles. A recent exception is a medical study carried on by Knishkowy and Amitai (which however credit our site with wrong statements about “drugs”…). "Anthropology" is "apology" or "folklore" only for those who cannot see the obvious link between health and the socio-cultural setting. Genevieve, Assistant Researcher, Summer 2006. "Don’t Be Afraid” (Jesus Christ)! “Don’t Be Afraid” of intellectual and pseudo-scientific terror! Light will overcome the darkness warfare ! (be it from WHO, whoever or whichever supra or superpower). Dare Doubt, Criticize, and Publish your own Analysis ! Warning to Fanatics (""Anti"-tobacco" pretenders, scientific and/or religious...)(*): What hell do we mean by 'Sacred Narghile', title of this site? Muslims reject the worship and idolising of images and they could be right, particularly in this world polluted by commercial advertising... (What do the French Anti-Advertising militants (English: HERE) think ?)). Indeed, Islam's highly refined civilisation (see this or that for a quick overview) has greatly contributed to the development of narghile (hookah, shisha, "water pipe", "waterpipe"™, hubble-bubble) for centuries. Therefore, it must be clear that we use the attributive adjective “sacred” in the figurative NON-RELIGIOUS sense conveying simultaneously the meanings of importance (for the underlying culture) and "mystery". Actually, this is how the vast majority of non-Muslims have always perceived narghile. >> LAUGH ! “Other websites promote hookah use as chic and elegant (hookahculture.com) or as part of a unique lifestyle (insidehookah.com) and hookahs as objects of religious veneration (sacrednarghile.com)”. Source: BACCHUS (White Paper on Hookah Use). Since Bacchus is the Greek god of wine, is this an "Undeclared Competing Interest" ?